Book Any 2/3 BHK Flat & Get it Semi-furnished for Free! Realtech Nirman Hijibiji is a residential development of Realtech Nirman. Located in the midst of Kolkata, it is built across a wide area. These luxurious 2BHK and 3BHK housing units makes it a dream home to everyone. These apartments are beautifully crafted with world class amenities. New Town is situated in east Kolkata. It is a very organized region covered with lush gardens all around. It has a very well planned infrastructure and is close to all the major roads of Kolkata. It stands close to Netaji Subhash Chandra International Airport which makes it a preferred location for the buyers. Where is Realtech Nirman Hijibiji located? The project is located in New Town, Kolkata East. What is the area of apartments in Realtech Nirman Hijibiji? The area of apartments offered in the project ranges from 756.0 sqft to 1419.0 sqft. 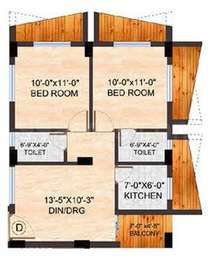 What is the area of 2 bhk in Realtech Nirman Hijibiji? 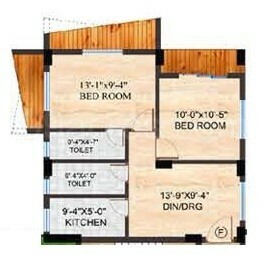 The size of a 2BHK unit in the project ranges from 756.0 sqft to 900.0 sqft. 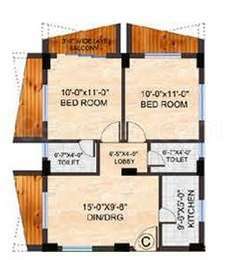 What is the 3 bedroom size in Realtech Nirman Hijibiji?  The area of 3BHK units in the project varies from 1106.0 sqft to 1419.0 sqft. 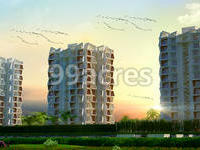 How much is the actual area of Realtech Nirman Hijibiji?The area of the project is 2.97 Acres. What is price of 2 bhk in Realtech Nirman Hijibiji? 2 BHK apartments in the project are available at a price of Rs. 3402000 to Rs. 4050000.